Muscat is an amazing city! It is Middle East’s best-kept secret. It is located on the Oman Gulf at the Arabian Sea and surrounded by the rocky Western Al Hajar Mountains. A city which will become the top travel destination soon (or maybe it already is…) What makes it so special ? Muscat is considered as one of the smallest capitals in the world, but this relatively small city has a lot to offer. The Omani culture and history, architecture, beautiful sandy beaches along the Arabian Sea, mountains, delicious food, local markets, amazing people (some even claim that the Omanis are the most hospitable people on earth !). There is so much to see there. 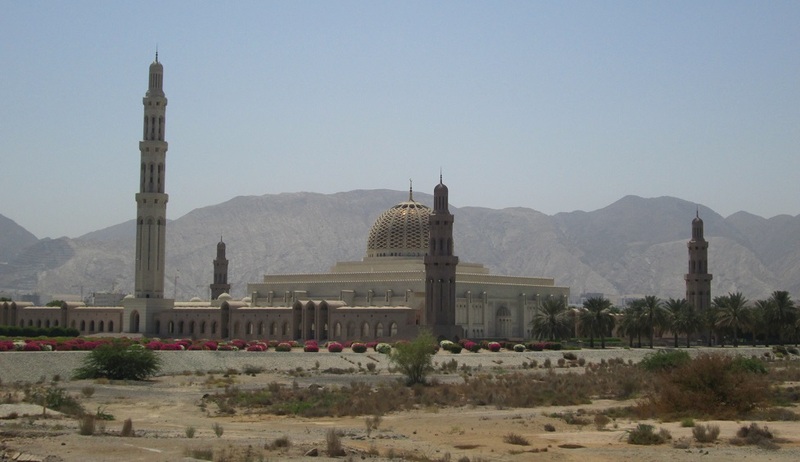 Oman advertises its natural beauty with the following campaign: ‘Beauty has an address – Oman’. The chandelier located in the men’s prayer hall measures 14 metres. It is huge ! The carpet covering the prayer hall floor used to be the largest in the world. It measures 60x70m, contains 1.7 million knots, weighs 21 tonnes. It took 4 years to produce it! Now it is second largest in the world, after Emirati took measurement and produced a bigger one for Abu Dhabi mosque. 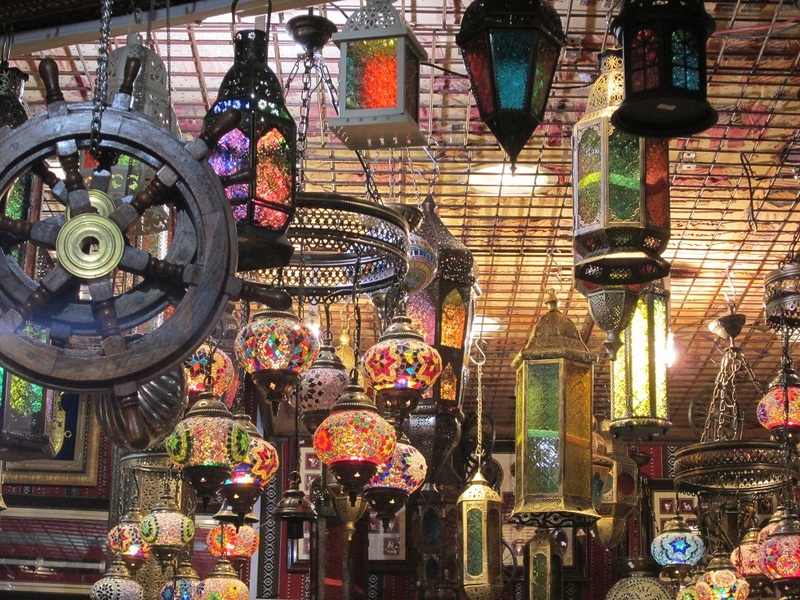 The traditional Arab markets are magical places. Like the amazing Souks in MARRAKECH, the Old Muttrah Souk in Muscat takes you for a journey in time to a place full of colors and sensual scents of frankincense, perfume oils, fresh jasmine and spices. The Muttrah Souq, located adjacent to the harbour of Muscat, is considered as one of the oldest marketplaces in the Arab world. The local name Al Dhalam Souq comes from Arabic word Al Dhalam meaning Darkness, which relates to fact that the there is almost no sun coming into the Souk during the day. 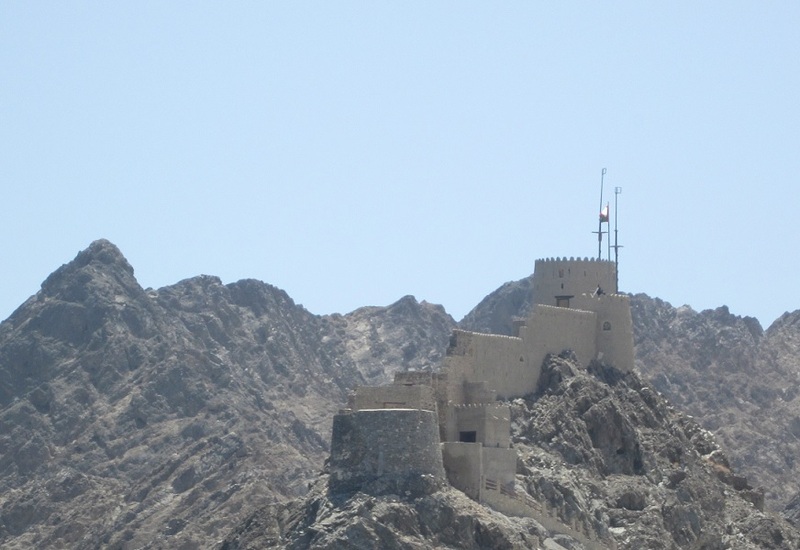 Muttrah Fort is located on top of a rocky hill about 400m east from Muttrah Souk. 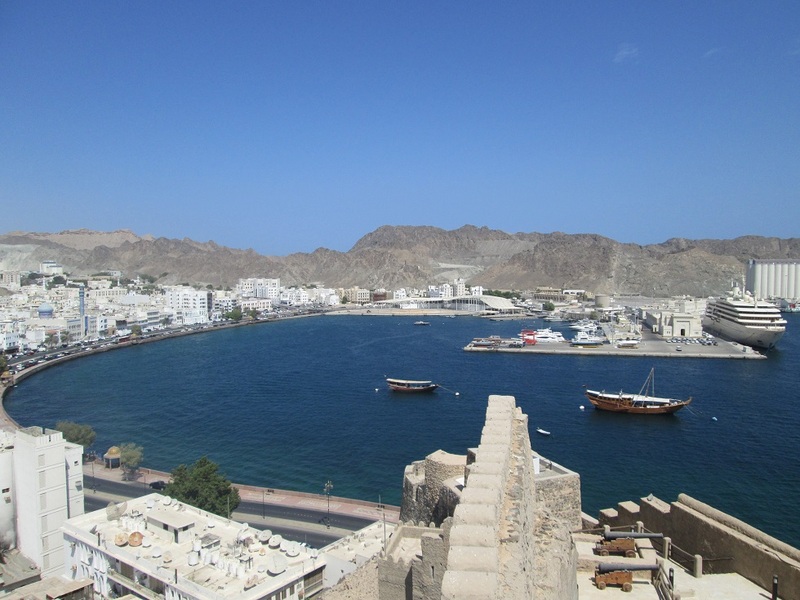 Built by the Portuguese in the 1580s, it consists of three circular towers overlooking Muttrah harbour and surrounding mountains. There are still some old cannons in the fort and one ‘modern type’ at the top. 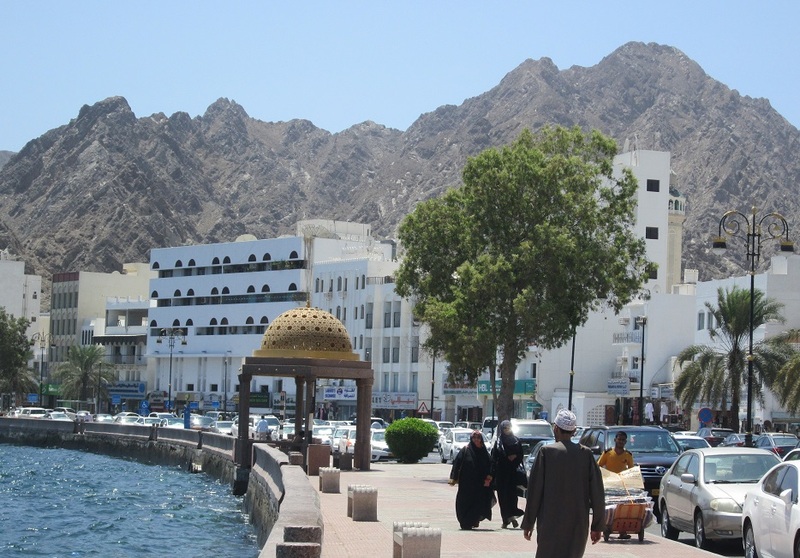 It is the best place in Muttrah to fully appreciate the beauty of the city. From here you can also see multiple watch towers scattered all over the mountains. 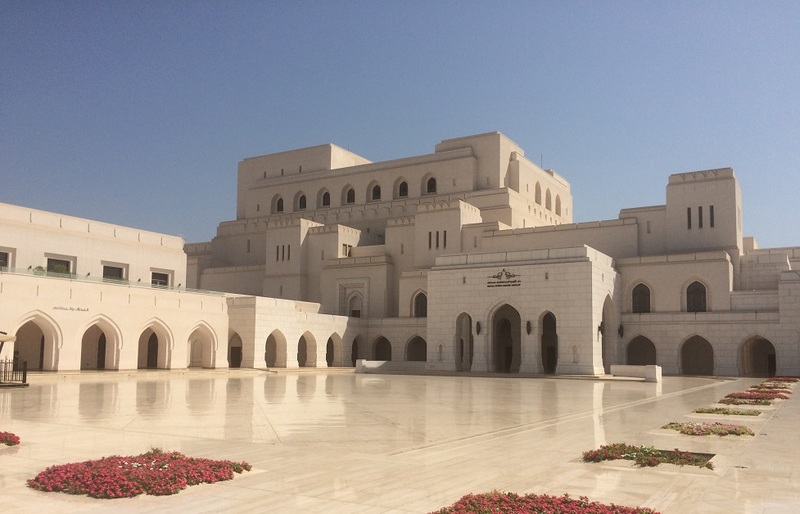 Royal Opera House was built on the royal orders of Sultan Qaboos and reflects unique contemporary Omani architecture. It can accommodate 1’100 people. 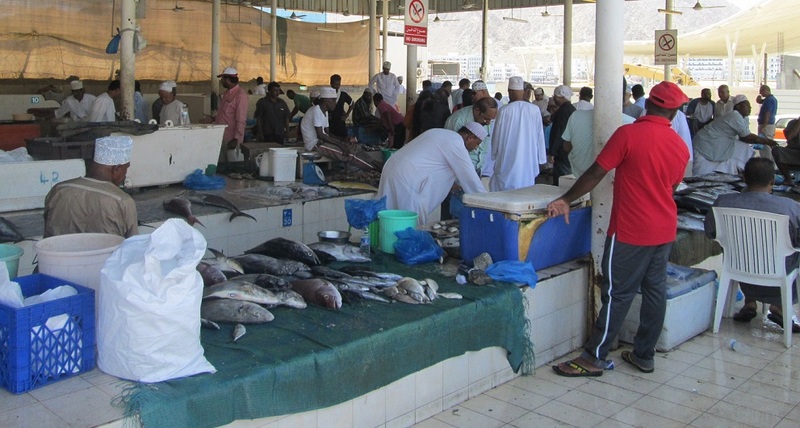 Omani fishermen sell their daily catch at the local fish market in Muscat. The old, traditional fish market was still running when I was there in August 2017 but it will be soon relocated to the new building. 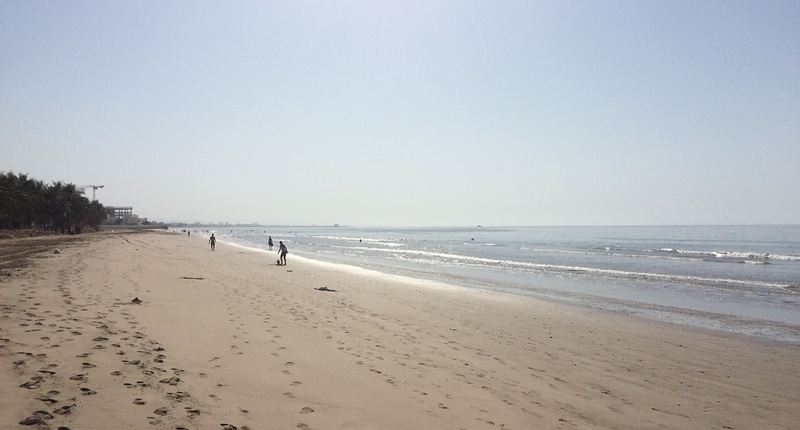 Qurum Beach is a long sandy beach stretching along the northern coast of Muscat west from Qurum Hills. The shallow water and wide strip of sand makes it an ideal place for family gatherings, walking, chilling and enjoying sunset. It is probably the busiest beach in Muscat. There are also some small beaches around Qurum Hills (for example Coral Beach) but it seemed to me that the only way to get there through land is using private roads (I didn’t try…) The only beach which I have managed to explore was a small public beach near Qurum Heights Mosque where I enjoyed the sunset. WHERE TO STAY IN MUSCAT ? This is another great article. Very informative. There are not many western tourists in Oman. But there seems to be so much to see and do. Will love to do snorkeling and dolphin watching in Oman.